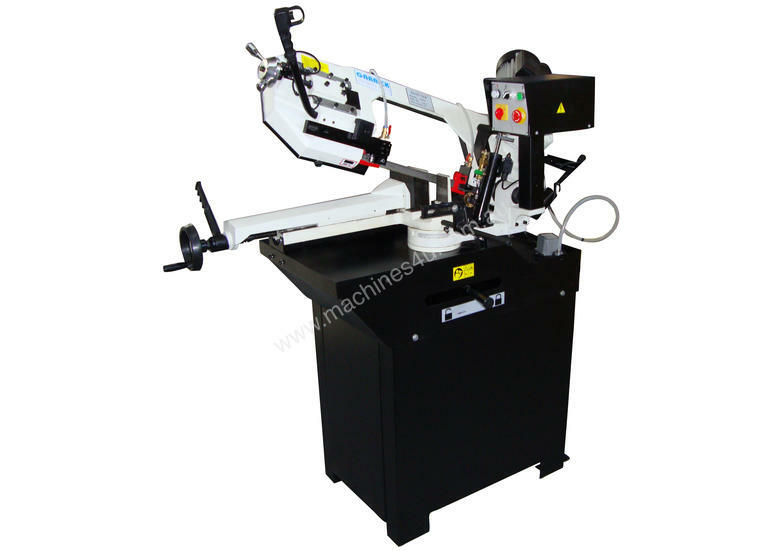 * Can replace the function of traditional cold-cut saws, but with greater capacity. * Adjustable hydraulic cylinder for automatic feed option. * Swivel head can mitre cut to 60°. * Includes blade cleaning wire wheel. * Ball bearing blade guides. * 27mm wide blade minimises run-out for more accurate cutting. * Supplied on Machine Stand with integrated coolant system.